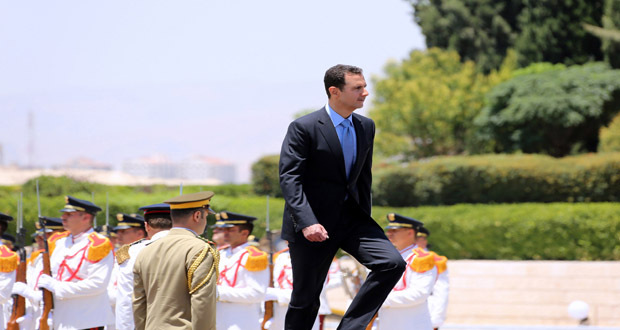 Damascus, SANA – President Bashar al-Assad was sworn in Wednesday before the members of the People’s Assembly. 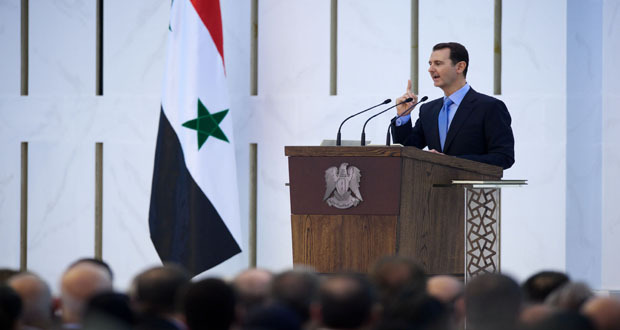 Following the swearing-in ceremony, the President delivered a speech in which he first saluted the Syrian people. Three years and four months have passed since some declared, on your behalf: “The People want.” Yes, The People wanted…. The People decided… The People took action. A few years ago, some called for freedom – your response was to remain free in the age of subservience, to be masters in the age of slaves. They patronised you with their calls for democracy – your response was to show your will in the most democratic manner possible and refuse foreign intervention in your national affairs; you chose your constitution, you chose your parliament, you chose your president. Throughout, the decision was yours and your will has created our democracy. They chanted: “The Syrian people are united” – your response was to face their storm of sedition, never allowing the winds of division to poison your hearts and minds; you were truly one people with one heart. They preached: “They bow only before Allah” – your response was to never bow before their masters, to never surrender, to never give up. You stood fast and held fast to your homeland, always believing in one God, a God who doesn’t share His powers with super-nations and who can never be substituted for oil or dollars. And when they said; “Allahu Akbar” – God was greater than them and their supporters, because God is always on the side of justice and justice is on the side of the people. During these years, whilst they were talking, you were doing; they sank in their illusions, whilst you made today a reality. They called for a revolution and you rose to be the true revolutionaries; so, congratulations to you all on your revolution and your victories and congratulations to Syria for her great people and their steadfastness. Congratulations to Syria whose people defied all forms of hegemony and aggression with all the means available to them: with their reason, their intellect and patriotic consciousness. There are those who fought with weapons in their hands, others who fought by speaking the truth and others still who fought with their resilient hearts despite all the threats. Congratulations to Syria whose people defied all forms of fear and terrorism and voted under fire in the referendum and the elections, thwarting the aggression, the aggressors and their machinery. This steadfastness altered all expectations, circumstances and facts; positions changed, players withdrew, terminology dropped, alliances vanished, councils divided and other bodies disintegrated. Many who were blinded to the truth, either out of ignorance or deception, regained their sense of direction. True motives were revealed when their masks of freedom and revolution fell and they drove their fangs into Syrian flesh; killing, beheading and cannibalizing hearts and livers. Every dirty trick was used; they left no perverse or deviant path untrodden. And still they failed. They failed to assure you of their concern for the rights and interests of the people. They failed to convince you that you needed guardians to manage your own affairs and the affairs of your country. And finally, they absolutely failed to brainwash you or break your will. You defied the storm with your bear chests; you stood like spears in the face of treachery. You achieved your goal; you raised the voice of justice above all the lies, hypocrisy, distortion and deception. You forced the whole world to see the truth, a truth they tried so hard, for three years, to bury and eradicate; by ensuring its survival this truth emerged to destroy, within hours, empires – political, oil and media. Yes, the few hours in which you expressed your views and showed your determination were enough to erase all the falsifications and the psychological and moral terrorism exercised against Syria for years. These elections were not just a political procedure as in other parts of the world; they constituted a multi-dimensional battle for which they tried to do everything possible to ensure our defeat. For the enemies of our homeland, these elections were the instruments they had been waiting for to deligitimise the state and to show the Syrian people as weak, disunited and unable to rule themselves or make independent decisions; all of this to create a justification for foreign intervention which they could legitimize under several pretexts. For us citizens, these elections were a true declaration of belonging to our homeland that transcended far beyond an identity card or a passport. 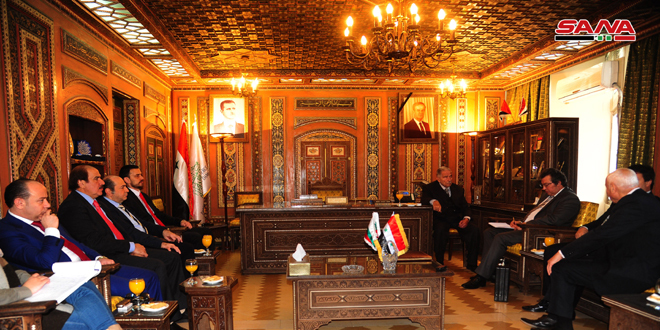 They were a battle to defend our sovereignty, legitimacy, national decision-making and the dignity of our people. The huge turnout was a referendum in favour of sovereignty against all forms of terrorism; for many people, what was important was not so much who won, but rather who fell as a result. With your votes, you have brought down both the terrorists and the Syrian agents who gave them political cover. You have brought down their masters – the orchestrators, including superpowers and their satellite states, and decision makers and their obedient executers. The results of the elections also brought down all the opportunists who used the crisis for personal gain at the expense of others, it brought down all those who distanced themselves from the battle waiting to see where the balance of power will settle; it brought down all those who stood against the will of the people by abstaining from this most important national duty or calling for abstaining or for its postponement, adopting – knowingly or ignorantly, the same line as those enemies of the people. As for the elections that took place abroad and were of actual and symbolic importance, they constituted a slap in the face to the hostile media outlets that exerted their efforts to position all those who left Syria as being against the state and their homeland. 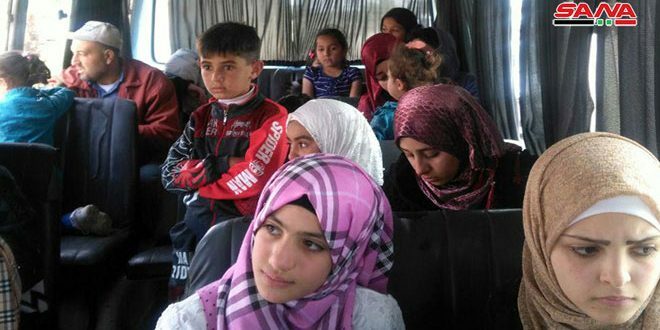 By expressing their views, Syrian expatriates and refugees astonished the world. They embodied the patriotic image of Syrians and their tenacity when it comes to upholding the independence of their decisions and the protection of their sovereignty. Their circumstances as expatriates or refugees did not hinder them from carrying out this crucial national duty. They participated in huge numbers despite their physical and moral pains. Some, despite their dire need, risked their livelihood and their residency and faced threats aimed at preventing them from participating. Those against us could not imagine Syrians carrying their passports and choosing their candidate through the ballot box. These simple steps panicked them because they knew and understood that these elections represented a stand to defend the homeland, its sovereignty and dignity. This is why they prevented the elections from taking place in their countries and other Arab states. And here lies the hypocrisy of the West: they claim to defend the same people that they prevented from expressing their views, when it became apparent to them that these views contradict what they had been working so hard for three years to achieve. Nevertheless, we thank them for preventing the elections from taking place in their countries because through their ignorance they have enhanced the legitimacy of the elections rather than undermined them. 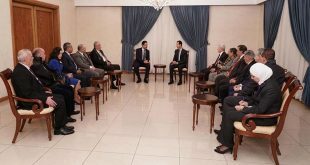 Our fellow countrymen living outside Syria’s borders declared that they are Syrians – heart and soul, and validated our position from the beginning that they left their country because of the brutality and terrorism of the armed groups. Otherwise, how can any reasonable person accept that the same citizens who had supposedly been attacked by the state and fled its oppression, would then support it with the enthusiasm and defiance of the Syrian expatriates that took part in the elections? How could a citizen with such hate for his country – as some assumed, switch from being a dagger in the back of his homeland and a burden to it – as they tried to project, to the strong supporters we have seen them to be. I would like to extend my best regards and appreciation to all those citizens and I want to stress that I am more optimistic than ever that the situation will be restored to a state where all the honourable and faithful Syrians can return. I am confident that they will be the first to return in order to support the country from the inside, as soon as the conditions that caused them to leave the country disappear. Fellow citizens, you have proven throughout your history, that you do not fear challenges but rather embrace them, no matter who the challenger is. You have insured the failure of our foes and proved their artificiality and ignorance. Research and study centres will be busy for years looking for answers to questions about what happened, in order to identify their mistakes, miscalculations and bad judgements. They will never find real answers because they depended on lackeys and agents. They did not know or understand how to deal with masters and honourable and patriotic people, and that is why they are more capable of understanding the terms of subservience, humiliation and dependence. They are unable to interpret the true meaning of honour, sovereignty and freedom. Those who want to predict the behavior and reaction of an ancient and civilized people should have the same historical and civilizational depth in order to fathom a great people’s strength and tenacity; this shows itself only in great national crises and at crucial historical junctures. Today, you are more capable of teaching the subservient people in our Arab region concepts they do not know, like sovereignty, perseverance, defiance and dignity. You are more capable of teaching them lessons in democracy, in how people should take part in decision making and determining national destiny, and consequently make them aware of things they have not heard of previously like elections, freedom, rights, the state and civilization; they have only known suppression, extremism, subservience, dependence and exporting terrorism. The presidential elections have been, to many Syrians, a bullet fired at the hearts of terrorists and those who stood behind them. Millions of bullets were fired and hit their sick hearts and minds and settled in the ballot boxes. These bullets proved that all the empires of politics, oil and the media amount to nothing when faced with a true patriotic position; they proved that all their words and statements over the years, disintegrate within hours in front of an honourable and unified people. These bullets declared that all those enemies, with their terror, their terrorism and shells have no value or weight; they may be capable of inflicting harm and damage, but they are incapable of winning, they may threaten, but they cannot frighten us. I would like to express my gratitude and appreciation to Dr Hassan al-Nouri and Mr Maher Hajjar, who by running in the elections, expressed Syrians’ culture and maturity in exercising democracy and the rights of citizens, and in implementing the constitution. Upholding the constitution is the surest way to protect our homeland, its unity and stability. I would like to thank them, because regardless of who won, the mere fact that they stood as candidates in these circumstances was a triumph for the people and the country. I would also like to express my appreciation to every Syrian citizen who defied the shelling, the threats and the fear and went to a polling station; to that proud woman who stood from five o’clock in the morning carrying the photo of her martyred son and cast her vote, speaking on behalf of all the martyrs of the homeland; to the injured soldier who insisted on going to the polling station in a wheelchair despite his wounds; to the one hundred year-old woman who did not let her ailing body prevent her from casting her vote; to a whole people who carried their pains, hopes and aspirations and participated so that the world could hear their voice. This victory would not have been possible without the blood of our martyrs, our wounded soldiers and their patient and steadfast families; without them we would not have been able to protect the country, the constitution, the law, the institutions and consequently Syria’s sovereignty. Without all of them, we would not be here today. They have taught us, and will continue to teach us the meaning of heroism, sacrifice and standing our ground. From them, we take strength and determination; our homeland was resilient because of their greatness and patriotism. They have fortified the whole country with their blood, and unified the pains and hopes of Syrians with their wounds. With their heroism, they have given the greatest meaning to power and tenacity and for that we will be forever grateful and will spare no effort to return even a small part of the debt we owe to these soldiers, their families and children. The war waged against the Syrian people is a dirty war. Despite all the injustice and the pain inflicted on every Syrian household, and despite all the blood and destruction, Syrians didn’t give up or give in. In fact, the exact opposite, as a people, we derive strength from adversity; the increased pressures drive us to be more defiant. We face attempts to humiliate us with more pride, dignity and self-confidence. Here we are today, looking forward to the future and moving towards it with the determination and confidence that this future belongs to the people and nobody else. This country that has faced invaders since the dawn of history – the last of whom were the French colonizers who left less than seven decades ago – is still alive and capable of standing fast, building and regenerating life from the throes of catastrophes. This is how nations display their greatness, their history and their civilization. Countries are not measured by the size of their surface area or population, their wealth or their oil; they are measured by their culture and civilization, the role their people played in history, and by their will and their sovereignty in facing the challenges of the present and building the future. Because of this role, Syria has always been targeted and continues to be so. The aggression we face is not aimed at individuals or governments – as it appeared to some in the beginning, but rather at the structure of the country and its role, and conditioning the way people think in the long-term, to mere cattle driven by remote control. This aggression aims to preoccupy our people with never ending conflicts that last for generations rather than focusing on our national aspirations and greater prosperity, and strengthening our society and state. It was never intended to rid people of their problems, as was claimed and believed by the naïve. On the contrary, they rejoice in the weaknesses of any Arab society because they want to see these societies remain backward and dependent on them. The clearest evidence of this is that their allies in the region are the most backward, corrupt and oppressive countries. They didn’t target our weaknesses to help us overcome them, but rather our strengths to destroy them: our unique patriotism and sovereignty, our pan-Arab identity and the harmony and congruence between our true Islam and Christianity. The colonialist West is still colonialist; the means may change, but its essence is still the same. If the West and its Arab flunkies have failed in executing their plans so far, this does not mean that they have stopped their destruction of Syria as an alternative goal. This will achieve the same objective over the long term, but unfortunately with the help of those Syrians who have no honour and so sold their homeland. Things were clear to us from the early days of the aggression. We all remember the reactions of those who did not believe or were not convinced of what I said at the beginning of the crisis. At the time, many people rejected terms like ‘plot’ and ‘aggression’. They were not convinced – until it was too late – that what was happening in the country had nothing to do with the legitimate demands of an oppressed people; nor were the demonstrations calling for freedom and democracy. It was a sinister plot for the whole region, which will not stop at our borders. This spectacle started to unravel during the invasion of Iraq. Our position at the time was neither based on an irrational desire for confrontation nor on having an adversarial position to be applauded. We avoid unnecessary confrontations with the international community, and we avoid the hypocrisy of ‘brother’ Erdogan. He wants to free the Syrian people from injustice and dreams of praying in the Umayyad Mosque in Damascus; but when Israel attacked Gaza, he turned into a docile lamb whose feelings towards Israel are similar to an infant who misses the warmth of his mother’s lap, with no dreams of praying in al-Aqsa mosque in Jerusalem. We are also not ‘Bandarites’ – people who do what Bandar Bin Sultan does in prostrating himself at the feet of his masters and turning himself into an agent of foreign powers, even when they are not looking for agents. Isn’t what we are seeing today in Iraq, Lebanon, Syria and all the countries that have been struck by the malady of the fake spring tangible evidence of the credibility of our repeated warnings? Soon we shall see Arab and regional countries that have supported terrorism also paying a painful price. Many of them will understand, though too late, that the battles fought by the Syrian people in defense of their homeland transcend our national borders. It is actually in defense of many other nations that, sooner or later, will suffer from the same terrorism, either as a result of the shortsightedness of their leaders and their absolute ignorance of the real interests of their nations, or due to their lack of understanding of our region and how to deal with it’s people. The question here is: if the West and their allies do not learn, until too late, from the mistakes of their past experiences, are we also going to be late in our understanding of the events and issues which concern us in our region? Did we need to wait three years and pay for the shortsightedness of some, by sacrificing our children’s blood, our lives, our economy, security and reputation in order to realise that what was happening was in fact a plot against our homeland, and not the so called ‘spring’ for freedom or democracy? Did we need to pay such a hefty price, and still continue to do so, for those people to realise that as a result of their ignorance we now have incubators for terrorism and a springboard for aggression? Did we need to wait twelve years to understand that invading Iraq would only bring terrorism and division to our region? Wasn’t our experience with the criminal Muslim Brotherhood in the 1980’s enough for us to learn our lesson, or did we have to wait thirty years for the arrival of executioners and cannibals, to realise that terrorism and exploiting religion are two sides of the same coin? At the beginning of the crisis, I talked about the ‘devils brotherhood,’ some commentators thought that in doing so, I left no space for a future compromise. They said, “How can the president describe them as devils, while they are a political party? He should refer to them as the Muslim Brotherhood”. Well, I apologize, we shouldn’t call them the Devils Brotherhood; they are the devils themselves, because killing, terrorism, corruption, sedition and all those horrendous sins are the work of devils. If our current situation and the experiences from our recent history have not been enough to teach us, then we are not likely to learn anything and will not be able to protect our country, today or in the future; and those who do not protect their country, who do not defend it and preserve it, neither deserve it nor deserve to live in it. 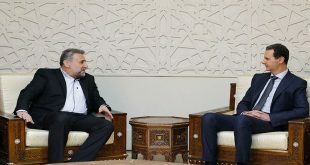 In light of the above, and based on our clear understanding of the scheme designed for Syria from the early days of the aggression, we took the decision to proceed on two parallel tracks: striking terrorism mercilessly on the one hand, and facilitating local reconciliations for those who were misled and wanted to abandon their wrong path on the other. We were convinced, from the very beginning, that effective solutions would have to be purely Syrian without any role for foreigners unless they were genuine supporters. All those who returned to the right path found the state to be a compassionate mother: angry with her ungrateful children, but forgiving when they genuinely repent. Today, I repeat my call to all those who have been misled to lay down their arms, because we will not stop fighting terrorism and striking at it until we restore safety and security to every inch of Syria. 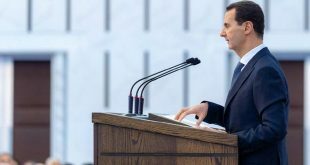 Those who left as traitors, agents or corrupt individuals are of little concern; the country has been cleansed of those individuals and they no longer have a place or status among Syrians. Those who are waiting for a foreign solution to end the war are living in an illusion because the ‘political solution’, as it is called, can only be based on internal reconciliations, which have proven to be very effective on more than one occasion. I stress that we will continue to proceed on this course because it saves Syrian blood, restores security, leads to the return of the displaced, the reconstruction of those areas and to thwarting any foreign schemes designed around internal shortcomings. National reconciliations are not contradictory with, neither do they replace, the national dialogue, which the state has started with various political forces and social actors. We will continue with this dialogue and remain open to all ideas, opinions and perspectives especially since this dialogue should not be limited to the current circumstances. It needs to be a dialogue about the future of the country, the structure of the state and all aspects of our society related or unrelated to the crisis, and regardless of whether they preceded it or are a consequence of it. If the state had extended on open hand to all from the beginning of the crisis; today, and after this tough and highly costly national test, the dialogue will not include those who have proven their lack of patriotism by evading dialogue. Neither will it include those who bet on a change of the balance of power and when they lost, changed direction in the hope of not missing the train, nor will it include those who claimed concern for the country whilst giving, through their positions, cover to terrorists in exchange for favours or bribes received from abroad. As for the declared client forces, we do not engage in dialogue with them as Syrians but as representatives of the countries they swore allegiance to and became spokesmen for. 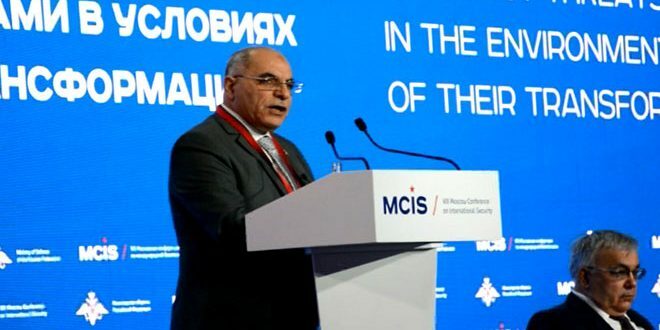 The crisis, brothers and sisters, has validated the strong social cohesion among Syrians and refuted the malicious claims about a civil war, which they tried to promote as a political cover for their foreign aggression with internal tools. The term ‘civil war’ today is used as a political cover to legitimise the terrorists as one side in a Syrian – Syrian conflict rather than despicable instruments in the hands of external powers. A civil war has its clear geographical fault lines between sects, ethnicities and other warring factions; these fault lines manifest themselves in the division between various components of society resulting in a complete collapse of the state and society. Is this what we are seeing in Syria or rather what they tried to convince us of? There cannot be a civil war or a real division, when the army is united, the institutions are united, the Syrian street is united and people are going out together to the markets and restaurants. This is a mere illusion. Today, I see the reality on the ground as being the exact opposite; we have surpassed the concepts of common or shared living, which prevailed before the events to a stage of full integration and social cohesion among Syrians. This was abundantly clear from the scenes of Syrians across the national spectrum at the polling stations, and the popular consensus and high turnout during the elections. The rich colours and different sectors of our society are all members of the same body: whilst they differ in shape, function and task, they are fully integrated in the service of each other and the body to which they belong. Today, there is no coexistence or tolerance, but full integration and harmony. Moving forward towards the future cannot happen if we do not deal in all truthfulness and transparency with the root causes of the present situation. In as much as we have proudly witnessed a patriotic people, it has been equally painful and disgraceful that there are parts of our population – albeit a small portion – that were the foundation upon which this war was based, who made it possible for foreign terrorists to enter the country and who facilitated foreign economic, political and military intervention in Syria thus impinging on our sovereignty. If the external factors are easy to recognize in what the aggressors say and in the instruments they use, the internal factors must remain the focus of every assessment or decision we make, not only to deal with the challenges today but also to protect ourselves for the future. 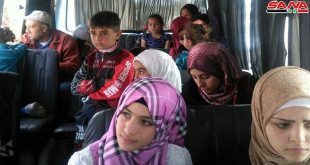 There is a near consensus among Syrians that the main reason for those who immersed themselves in the destruction of the country – directly or indirectly – is ignorance. The bigger danger, which provided the foundation for the crisis and its different aspects, was the lack of morals by distorting religions, undermining honour, and selling out the homeland. It is the greatest obstacle to the development of societies; development is not only dependent on laws and regulations, important as they are, but rather it is dependent on a culture based on morals. There can be no development without morals; they are inseparable. Good morals may ensure better enforcement of the law; good laws can help develop good morals but they cannot sow their seeds if they haven’t already been planted by the family and by society. Without morals, there will be no patriotic feeling in our consciousness and public service loses its meaning. When I talk about public service, I am referring to all people involved in government employment or in public services or charities. Without morals, we become a society of selfish individuals each working for their own interests at the expense of others; and we saw this happening on a large scale during this crisis. There are many in this crisis that did not carry arms but they nonetheless damaged people’s livelihoods and manipulated their future; they stole, blackmailed, ransacked and were as dangerous as the terrorists themselves. Without morals we are wasting our time trying to reach objectives we do not have the necessary tools to achieve. Talking about morals, in this speech, is not an alternative to developing laws and regulations nor is it an excuse for exonerating the state of its responsibility. If our morals and culture provide the foundation, state administration and institutions constitute the building; and any building without a solid foundation will always remain fragile. Building on the above, and since the two issues are closely linked, we also need to address corruption, which is the greatest challenge for any society or state. Financial and administrative corruption is based on moral corruption, both of which produce a more dangerous form: national corruption that creates people who sell their homeland and the blood of its children to the highest bidder. Fighting corruption requires action on a number of parallel tracks. Punishment comes at the top of the corruption fighting strategy. Striking with an iron fist every proven and convicted corrupt person is the most important element; however, when you punish a corrupt individual, society might produce tens of other corrupt and more devious individuals skilled at evading the law in a manner that cannot be detected or punished. In this case, time will play in favour of corruption and the corrupt. Accountability is at the top of the corruption fighting strategy, but it is not sufficient on its own. In the middle comes administrative reform of state institutions, a process that has been on-going for a number of years. This is a wide-ranging issue and a science in its own right and there is no doubt that the crisis has delayed progress in this area. Additionally, we need to focus on developing educational curricula in a manner that goes beyond education per se to include instilling moral values and appropriate conduct. The Ministry of Education has started this process, which will take time – it is not something that can be done haphazardly. More importantly, we have started and must continue to develop educational religious institutions that produce graduates properly equipped with the right religious teachings that enshrine the moral values we need today more than ever before. In this area also, the Ministry of Religious Endowments, in cooperation with Syrian religious scholars, has taken important steps in setting reference and developing teaching methodologies and mechanisms in their schools. We should also not ignore the important role of the media. I am not referring to the media that talks about corruption and attacks it in general – this has little impact. I am referring to developing investigative journalism that looks for corruption cases and proves such incidents with the necessary evidence. Such cases can then be taken to the competent authorities, whether the courts or the oversight and control bodies for appropriate measures to be taken. These components constitute the role of the state in the shortest and fastest form, i.e. fighting corruption, administrative reform and the role of the competent institutions. However, the more important and sustainable role, which constitutes the base of the corruption-fighting pyramid, is the role of society and the family in particular. In order to produce an uncorrupt society, we all need to, as mothers and fathers, provide our children with a good upbringing. Let us ask ourselves, would we have witnessed the corruption we have seen – the robbery, the exploitation, the kidnaping, treason and other horrendous crimes, had the parents of those deviant people given their children a sound upbringing? On the other side of the horizon, what about the millions of honourable people working in state institutions and other entities? What about the hundreds of thousands of young people who took up arms to defend their country and were martyred? What about those citizens who decided to carry on with their national duties despite the threats, and the resilient families who remained rooted in the soil of the homeland despite their difficult circumstances? All of these actions were not due to administrative directives, but rather because these people were given a sound upbringing which produced honest and patriotic citizens. This foundation, this education, creates the difference between citizens who abide by the law out of conviction rather than fear of punishment, between the civil servant who serves the public for the benefit of society rather than for personal gain, and between the merchant who realizes that whilst a thief can steal from an individual, by not paying his taxes he is in fact stealing from twenty three million people. This upbringing creates the difference between a citizen supporting his family and community in times of crisis rather than exploiting them and it prevents citizens becoming mercenaries to be used against their nation by conspirators or foreigners. This is what will make all the measures taken by the state effective in terms of depth and breadth. Let us make fighting corruption our priority in the next period, in state institutions and across society as a whole; let’s make it a priority not only for state officials, but also for every individual. Let every one of us move from talking about corruption fighting to actively working to confront it, to strike at its roots instead of wasting time pruning its branches. The states that continue to support terrorism in Syria have tried to destroy all aspects of life within it. The killing, which targeted Syrians from all walks of life without discrimination or exception was concurrent with the systematic destruction of our infrastructure, which took decades to build and consumed the efforts, money, sweat and blood of generations of Syrians. There is no doubt that this widespread destruction, which has affected the entire nation, has also affected every individual, particularly in terms of people’s livelihood. 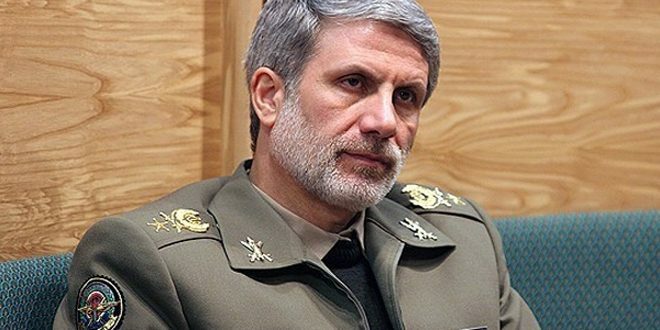 All of you are aware of the terrorist attacks that continuously target the oil fields, which are among the most important financial resources of the state treasury. This is in addition to the attacks on the gas pipelines that feed the power generation plants and the attacks on the power generation plants themselves to destroy them and destroy the power lines connecting the cities and governorates. This has all led to a situation where electricity supplies throughout Syria have dropped to a few hours a day. External and internal tourism, which was flourishing in Syria, and was an important financial resource for the state and citizens, has grounded to a near halt. Furthermore, the circumstance facing the state and it changing priorities have led to some individuals with no conscience to evade paying taxes and their dues. All of these problems have accumulated and created a difficult economic condition that has been felt, without exception, by every Syrian citizen. Since the greatest damage to our economy was inflicted on the vital material structures of economic growth and sustainability, our economic recovery should start from the same point by focusing on rebuilding these material structures: the buildings, houses, factories, roads, and all other forms of infrastructure that was destroyed or sabotaged. This in itself is a very wide sector that will benefit the different strata of society without exception, and will influence positively and strongly the other economic sectors, which will not recover fully without a comprehensive reconstruction. Yes, ladies and gentlemen, reconstruction is the title of the economy for the coming period. We need to concentrate our collective efforts on this area and should work, in parallel, to restore all other sectors that will be complementary to reconstruction especially craftsmen and the small and medium-sized industries that can grow and expand very quickly, creating jobs in a short period of time. We will continue our strategic support of the public and agricultural sectors, which constitute the main lever of the Syrian economy and had a significant role in our resilience during the current crisis. The reconstruction process and the associated economic recovery should not be linked in timing to the end of the crisis. In fact, the state has already started to create the necessary legislations and regulatory framework that will facilitate and encourage investment in this area. In fact, the government has passed the necessary legislation recently concerning the Kafer Souseh area in Damascus, which is the first to be addressed by the reconstruction process. This project will benefit first and foremost the people who own the land, most of whom are regular people who have not been able to investment in their land because of certain irregularities and other problems. The benefits will also be felt directly by contractors, workers and the state itself, especially the Ministry of Local Administration, which owns part of this project. In a matter of months, shares will be distributed; and towards the end of this year or the beginning of next year at the latest, we should start work on the ground to rebuild the area and roll out the project to other areas affected by the events to the extent that the security conditions allow. Let us all start, hand in hand, the process of rebuilding Syria in order to be worthy of her. Let our race against time be in favour of building not destruction; and let us continue to prove, as we have done during the past three years, that the will of Syrians is many folds stronger than the will and acts of terrorists and traitors. Today, we start a new stage having overcome dangerous and critical challenges, thanks to the steadfastness of our people in the face of a terrorist and psychological war, until we reached the presidential elections – the elections that expressed Syria’s full and unified independence. Looking forward to the future, we need to address the large gaps that have appeared in our national fabric. This requires our concerted efforts and our standing shoulder to shoulder in the next stage, which means an interactive relationship between the people, their leadership and their government. The role of a leadership does not eliminate the role and contribution of the people; similarly the presence of a leadership or a government should not imply total reliance upon it. This interactive relationship means that we move forward together towards the desired future, if we mean to succeed in our endeavour. Hence the word ‘Sawa’ or ‘together,’ which focuses on enhancing the sense of responsibility in every one of us ensuring we move forward as one nation. It means that we shall rebuild Syria together, that we shall continue to strike terrorism whilst concluding reconciliations so that no Syrian remains in temporary housing or refugee camps. It means that together we shall fight corruption with the necessary laws and morals, and strengthen our institutions by focusing on equal opportunities and eradicating nepotism. There should be no excuse for negative thinking and negative attitudes in dealing with our national challenges; and we must acknowledge that many of the negative aspects in our society are the product of a common culture that has become ingrained in our minds, making it difficult to replace; the only way to do so is to build a proactive, cooperative and altruistic culture. Some people might be asking how possible this is when officials do not respond to initiatives and ideas. It is a legitimate question, but we cannot generalize; there are always those who listen and are interested. We must not tire or give up; we must continue to try every possible way to make our voice heard and contribute to the process of rebuilding, development and correcting our mistakes. I know well enough that expectations from this speech are very high; and many of these expectations are logical and legitimate and the areas that need to be addressed are far more than can be covered in one speech. But wars impose their reality on the ground and we need to prioritize. There is a heroic army defending the country with many martyrs; on a daily basis, there are innocent victims because of terrorism in different parts of the country; there are those kidnapped and missing who have left behind families living on the hope that they will return; there are also those who have been displaced from their houses and become homeless; and there are those who have paid the price of this war with their livelihoods and are no longer able to provide the essentials for a decent living. No priority can be higher than dealing with these challenges at present. When we refer to martyrs or innocent people who have been killed or martyred, these are not numbers. They are families who have lost a father, a mother, a brother, a sister, a son, or a daughter. When we talk about missing people, our priority should be on looking for them to know their fate. If they are kidnapped, we should look into how they can be returned. There are people today who can hardly find food. Whilst there was poverty before the crisis, it cannot be compared to what we are seeing today. In order to address this problem, we should put all our efforts together, as a society and a state in support of our heroic armed forces and in order to achieve all these objectives. We cannot tell the families of the soldiers, the kidnapped and the hungry that some people are fed up and we will put their desires ahead of your priorities. Consequently, overlooking these facts is tantamount to being separated from reality. Your resilience constituted the official obituary of what was falsely called ‘the Arab spring’ and reset the course. Had this ‘spring’ been genuine, it should have started in the backward Arab countries. Had it been a revolution for more freedom, democracy and justice, it should have started in the most oppressive and tyrannical countries: the countries behind every catastrophe that befell this nation, behind every war against it, behind the intellectual and religious deviation and moral degradation. The existence of these countries is the West’s most important achievement and the most significant cause for Israel’s successes and continued existence. There is no clearer evidence than their current stand regarding the Israeli aggression against Gaza. Where is the ‘alleged’ zeal and ardour that they showed towards Syria or the Syrian people? Why haven’t they supported Gaza with arms and money? Where are their jihadists; and why haven’t they sent them to defend our people in Palestine? In order to know the answer, we should know that what is happening today in Gaza, ladies and gentlemen, is not a separate or passing event. It is an integrated chain of events: from the occupation of Palestine, to the invasion of Iraq and trying to divide it now and the division of the Sudan all planned by Israel and the West and always executed by the states of tyranny and backwardness in our Arab world. Let’s talk about the facts. Was it not Abdul Aziz Ibn Abdul Rahman al-Faisal who conceded to Britain that he does not object to giving Palestine to the ‘poor’ Jews in 1915? Did those states not incite the 1967 war, whose price we are still paying today, in order to get rid of the Abul Naser ‘phenomenon’ which had become a threat to their thrones at that time? Did those states not support Iran under the Shah, only to stand against it when it decided to support the Palestinian people and turn the Israeli embassy into a Palestinian embassy after the revolution? Did those states not support the crimes of the Muslim Brotherhood and the Devils Brotherhood in Syria in the late 1970s until the 1980s against the Syrian state and people, although the Syrian state has never been involved in any hostility against those countries? Those are the countries which made the ‘King Fahed Peace Initiative’ in 1981 and threatened the Palestinians with rivers of blood if they don’t accept it. When the Palestinian factions rejected it, and in less than a year, there was the Israeli invasion of Lebanon and the ejection of the PLO from Lebanon, not out of concern for Lebanon, but for Israel. Those same states surprised us in 2002 with their greatest concession: ‘normalization in return for peace,’ which was later modified, in form, to become the less bad ‘Arab Peace Initiative’ in the Beirut summit. At the time, the Israeli Prime Minister, Ariel Sharon, responded to it by saying that it is not worth the ink it is written and launched an attack against the Palestinians that killed hundreds of martyrs, especially in Nablus and Jenin. When Israel attacked Lebanon in 2006, it was those same countries that encouraged Israel and the West not to accept a cease-fire until the Lebanese resistance was destroyed, describing them as ‘adventurous.’ Because these satellite countries succeeded in their tasks, they were charged with funding chaos under the name of the ‘Arab spring,’ and with leading the Arab League after other Arab countries abandoned their roles. The Arab League itself was reduced to summoning NATO and imposing a siege on the Arab states that refused to comply. All of these events constitute a strongly linked chain aimed at liquidating the Palestinian cause; all the money spent by those countries since their creation has been for this purpose. And here they are today playing the same role: in Gaza through Israeli terrorism, and in Syria through terrorism belonging to 83 nationalities. The methods may differ but their objective is the same. This leads me to another important issue. Some have expressed indifference towards Gaza, on the premise that we have our fair share of national problems; others have gloated at the Israeli aggression, as a reaction to the ingratitude and disloyalty of some Palestinians towards Syria and everything we have offered for decades. Both cases however, reflect naïve thinking; what is happening in Syria and the region as a whole is strongly linked to what is happening in Palestine. Dissociating ourselves from these events would be like watching a neighbour’s house burning and not offering to help, thinking that the fire will not reach them. That is why those who believe that we can live in safety and distance ourselves from the Palestinian cause are illusioned. It will remain the central cause based on principles and the reality that links what is happening in Palestine with what is happening in Syria. We need to distinguish between the resistant Palestinian people and the ungrateful Palestinians, between true resistance fighters – who we should support – and the amateurs who mask themselves in the mantle of resistance to serve their interests, improve their image or strengthen their authority; otherwise, we will be – consciously or unconsciously, serving Israel’s objectives of dividing us even further and making us believe that our crisis is local and isolated. When we believe the illusion that our crisis is isolated and not related to what is happening in Palestine, we are bound to make wrong decisions, and our solutions will be inappropriate and will ultimately fail to address the problems our country faces. A people like you, who have fought, resisted and stood fast in a country which has been exposed to an aggression unparalleled in its ferocity, is worthy of respect and appreciation, worthy of their homeland, history and civilization. 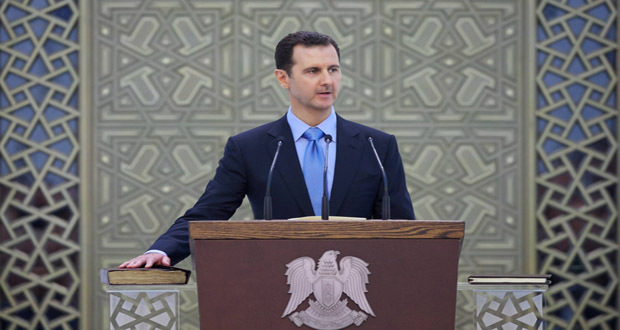 You have restored the true meaning of the word revolution and proved that Syrians live honourably and die as martyrs honourably, that their dignity is more important than life itself and that their faith in God is fully intertwined with their faith in the nation, its land and people. Although we have made great achievements in our war against terrorism in the past period, we have not forgotten and will not forget our beloved ‘Raqqa,’ which, God willing, we will soon rid of the terrorists. As to the resilient Aleppo and its heroic people, we will not rest until it restores its safety and security. The daily military operations and the martyrs from all over Syria, who have fallen for the sake of Aleppo, are clear and tangible evidence that Aleppo will remain in the heart of every Syrian. I salute the Syrian Arab Army: officers, non-commissioned officers and soldiers, who have spared nothing in defence of our homeland, including their lives and the families they left behind. I salute all our National Defence Groups and the young men and women who carried arms in defence of their country, its dignity and honour, and who have provided a strong parallel support force to the Syrian Army in many regions. My biggest salute is to the great people; your embrace of our armed forces and their achievements has been at the core of their victory. We should not forget to thank members of the faithful and heroic Lebanese resistance who stood shoulder to shoulder with the heroes in our army, fought honourable battles together on both sides of the border and provided martyrs in defence of the axis of resistance. I salute them and the families of every martyr who reciprocated our loyalty with loyalty and considered defending Syria a national duty like defending southern Lebanon. We also thank Iran, Russia and China, these states that have respected the decision and will of the Syrian people over the course of three years and have truly upheld the UN charter in respecting States’ sovereignty and non-interference in their domestic affairs. The challenges are huge and the tasks are burdensome. Our success in dealing with our difficulties and our self-confidence should not make us complacent. Our enemies are treacherous but our will is strong, and with this will we shall turn this ordeal into an opportunity. As long as we have the will to act, let our achievements in the future be of the same scale – and even greater – of the price we have paid. The new stage has begun, and we are fully prepared for it. Syria deserves all our effort, sweat and work; we shall spare nothing in the same way that our heroes have not spared their blood or their lives. I will always be one of you, living amongst you, guided by your opinions and inspired by your awareness. Together, hand in hand, Syria will remain strong, proud, resilient and inviolable to any foreigner; and we Syrians shall remain the strongest fortification for Syria and her dignity.